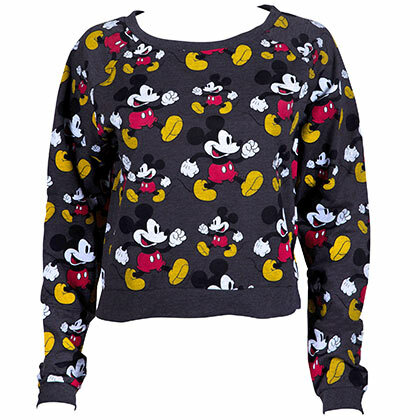 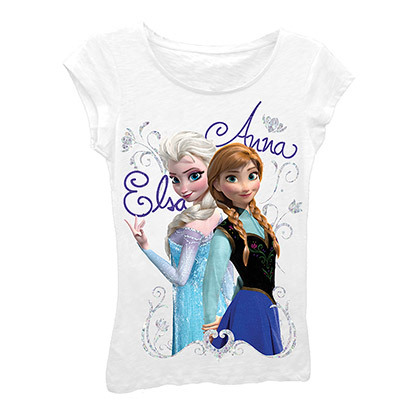 Officially licensed Disney Frozen tee shirt. 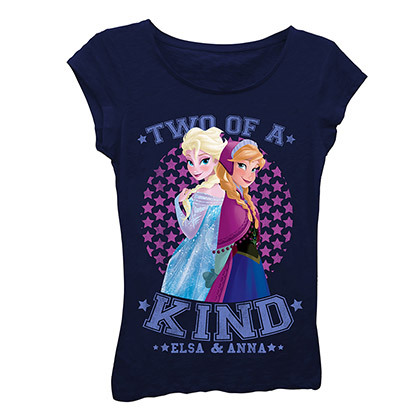 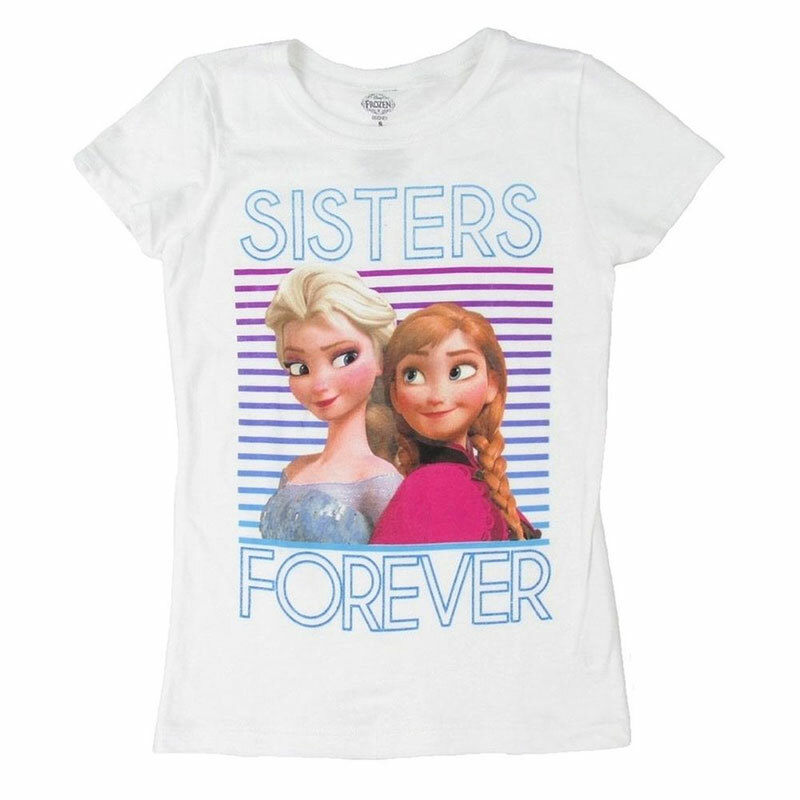 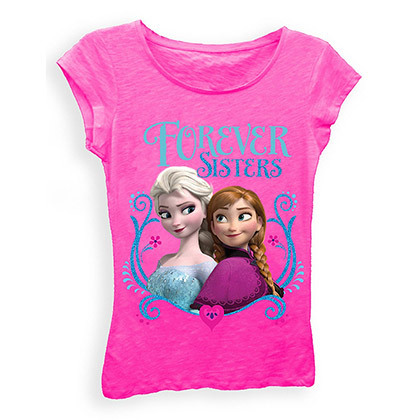 Comes in white and features Elsa and Anna on the front with "Sisters Forever" text in blue. 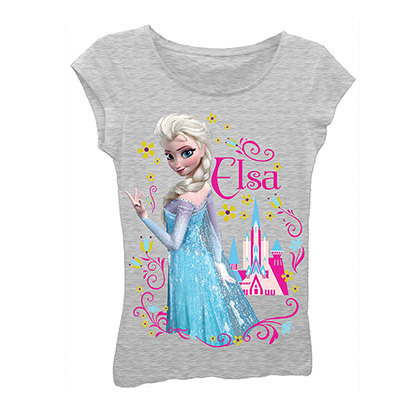 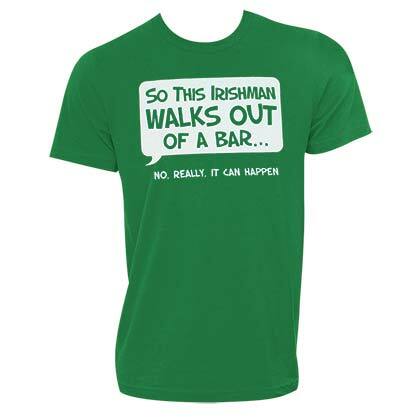 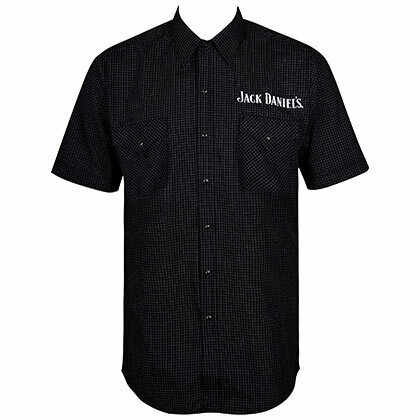 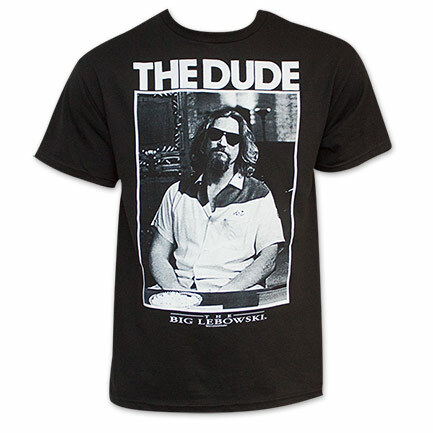 Made from 100% cotton and fits girls 7-16.